I thought it would be useful to provide some high-level context around the process of classifying user queries by intent. At a very high level, queries can be classified into four groups (types). People are either looking for information, trying to navigate to a known site, or are entering into some sort of transaction. The fourth group consists of queries that have no apparent meaning (this will include nonsense strings, acronyms etc.). Informational – represents from 60 to 80 percent of queries in an Ad Words data set. 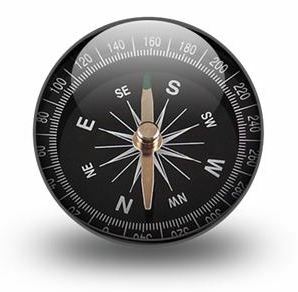 Navigational – represents from 10 to 26 percent of queries. Transaction – represents from 10 to 24 percent of queries. Unclassified – estimated in the 5 percent range (You rarely see this in AdWords, but sometimes you do). It’s great to know that a user is interested in finding information about a topic, but it is even more useful if you can tell what the user’s goal is from the keyword phrase. Let’s break down each query type into sub-groups to get a better handle on what users are trying to do. Information searches are site independent to start with. Users may be looking for a set of resources, and ultimately a site of authority, but the web site’s name and address is usually unknown. The following are some of the top informational gathering activities. Product research (competitive intelligence, pre-purchase research). Company research (competitive intelligence, job search, recruiting). People research (find experts, recruit employees). Multi-topical research (acquire expertise – i.e., What are the most common problems associated with Legal SEO?). Single topic (answer a specific question – i.e., How do I find a nanny?). General inquiry (locate list – i.e., who are the top catalog publishing companies?). Solve a problem (i.e., why is my health insurance so expensive?). Locate a service (off-shore development, consulting). Locate a resource (i.e., Diabetes support groups). Locate advice (ideas, suggestions, how to). Locate a source of information (downloads, white papers, presentations). Locate time-sensitive information (news, stock info). Locate source for entertainment (find games, videos, photos, things to do). These phrases contain information terms, or ask questions – such as what is, how to, why is, way to, list of. They tend to contain natural language expressions. They reflect consumers that are in research-mode. They are at the very start of the conversion funnel. Users tend to use more terms in their keyword phrases. Users tend to execute multiple searches as they refine from broad to a narrow focus. Purchase a product: specify brand & product names, and use secondary terms such as: price, deals, sale, buy and cheap to indicate the conditions for the transaction. Sign up for services from: Netflix, WSJ. Sign up for information broadcast (webinar, newsletters, alerts). Filling out an application or forms (credit card, mortgage). Looking for entertainment (movies, music, videos, photos, games, social interactions). Downloading files (specifying file extensions as a search term). Downloading software (free, trial, license). Looking for textual things (recipes, lyrics, gossip). Looking for a collections of visual objects (photos, videos, clip art). Print calendars and high-quality images. Send cards, invitations or flowers. Participate in a survey, take a quiz. Translate content from one language to another. The user is usually looking for the home page of a web site. These queries will often have brand names, personal names, company names and web site names in a one or two-word query such as; Apple iPhone, IBM, Microsoft Windows, Mark Sprague’s blog, Ebay.com and Gmail. Generally these are sites that are already known to a user. These three categories of intent are a great place to start when sorting out how consumers search for your products and services. But there is more that can be learned by analyzing full AdWords data sets for the complete consumer search experience. This advanced keyword research process can produce from 15 to 30 defined categories of behavior that provide additional content and landing page opportunities. To learn more read: What is a Consumer Search Behavior Model. To see what a detailed analysis looks like read: How Potential Clients Search For An Interactive Agency. Providing comprehensive Google SEO and Keyword Research services to the Asheville NC community. If you are interested in developing a custom SEO Roadmap for your business, please get in touch to discuss your needs.